With all the work the big-time moguls like Jay-Z, Diddy, 50, etc. are putting in, they've got nothing on Dr. Dre when it comes to side ventures. Instead of going the typical sneakers, clothes, and/or beverage route, Dre got in the lab and cooked up a product that directly related to his everyday life. The result? A fashion-technical hybrid sensation that's cornering the audio market with anything you could possibly put a speaker in, in all possible styles, sizes, and colors. 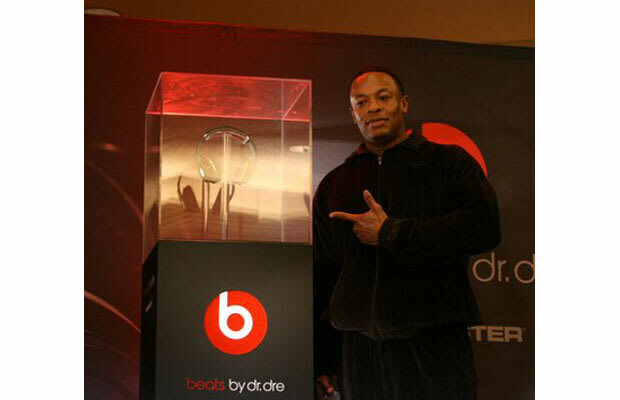 We're pretty sure that the world will see Beats by Dre brand baby monitors before it sees Dre's Detox album.